South Africa currently faces the challenge of managing its rich biodiversity, whilst facing the threat of increased environmental degradation. The threats are varied, complex and multi-faceted, with climate change probably one of the most dangerous. As a result of climate change, temperatures have rapidly increased within the Kruger National Park region, which experienced the worst drought season recorded in 2016. Rising temperatures of between 2.5 and 3 degrees Celsius could lead to an approximate loss of 66% of all animal species in the Kruger National Park. National parks are not able to prevent this phenomenon from happening, and therefore the implementation of mitigation and adaptation strategies is crucial. The field guides and trackers who are working in the environment and with the game viewing product every day are at the frontline of implementing suitable mitigation and adaptation strategies. 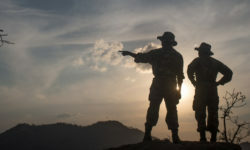 The work of a field guide has become more diverse and complex overtime, as they have to face new challenges each day and lead the way in conserving South Africa’s natural wonders – from battling wildfires and poachers, to playing an important role in rehabilitation of land and habitats, and acting as an educational force in wildlife conservation. The change in temperature has a significant influence on the behaviour and activity of animals. Generally, it can be said that animal activity is higher during the cooler times of the day as the majority of animals prefer to hide during the heat. 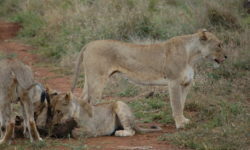 This heat factor also impacts on tourism operations, with game viewing mostly occurring during the cooler times of day. Field guides already adjust the times and lengths of the game drive on a daily basis to cope with changes in temperatures and seasonality. Not only to ensure a more engaging game viewing environment as animal activity will be greater, but also to ensure guest comfort. They further adapt to changes in the environment by restricting the accessibility of certain areas or roads in times of temperature change as the ground, soil and the vegetation is affected. These are all efficient responses to adapt to changes, however field guides should consider campaigning for more future-oriented solutions. The world has seen a lot of technological development focused on making operations more sustainable. 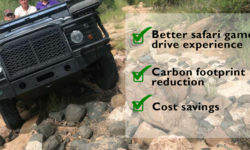 A lot of research is dedicated to the possible use of hybrid or electric vehicles for game drives. This development would bring a number of environmental benefits, ranging from the positive effects on the carbon footprint as vehicle emissions will be reduced, to the positive effect of no engine noise during a drive. An average car emits 280% more carbon per mile than an electric vehicle, even if the electric vehicle is charged with electricity that was generated mostly using coal. An electric car charged with renewable energy emits zero carbon per mile. This will have a great impact on a region which already faces a diminished volume of greenhouse gas emissions and would also positively affect the sensitive environment within the conservation areas. A number of interviewed field guides share the opinion that the technological development is not yet feasible. 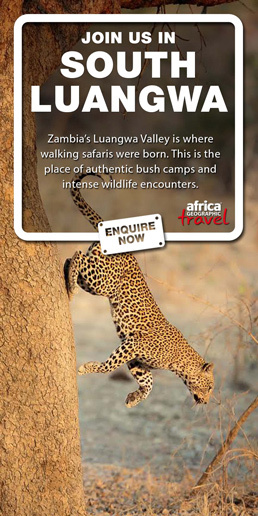 A game viewing vehicle is required to reach a certain transport distance and at the same time also provide the same 4×4 experience. The field guides mentioned a required distance of up to 100 kilometres per viewing, requiring technology to provide for these demands. Additional concerns were brought forward regarding the effect of no engine noise. 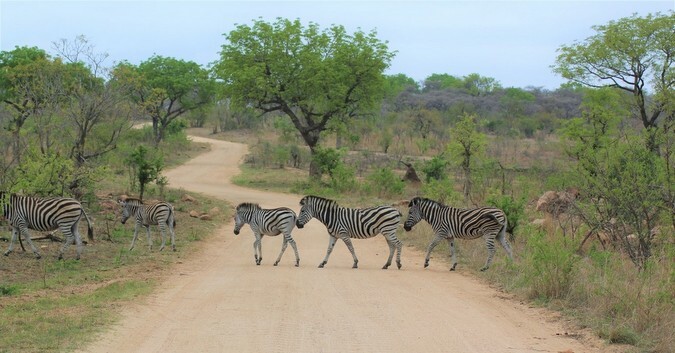 The field guides insist that it would be a positive feature of the game viewing experience as it would reduce the noise pollution caused whilst on drive, which can reduce the serenity of the game reserves. But it would unfortunately also remove the ‘alarming’ factor of a game vehicle. With no noise coming from the vehicle, animals will not be aware of a vehicle approaching and the sudden intrusion could, according to the field guides, give the animals reason to behave in an aggressive, protective and defensive manner. These opinions contradict each other vastly in how game viewing should be conducted. Nevertheless, electric vehicles are an attractive alternative, specifically for tourism within protected areas. It is no question that climate change is the greatest challenge of our time, and also threatens the steadily growing safari industry in South Africa. 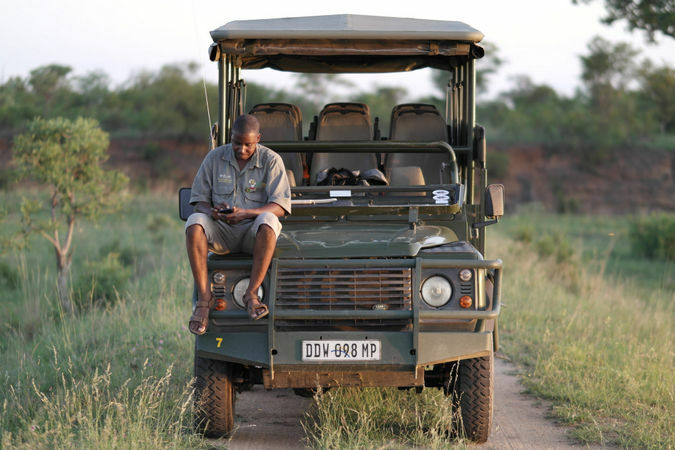 Field guides should campaign and create an increased demand for hybrid or electric game viewing vehicles, and push to raise awareness that this development is needed and can be tested in a real-life environment. 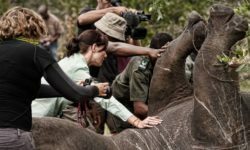 Every small step counts and the field guides, trackers and everyone else working in the growing safari industry in South Africa should campaign for more efficient and sustainable development. This article was written based on Carolin’s thesis, “The impact of rising temperatures on the game viewing product: A case study on a private game reserve in the Kruger National Park“. 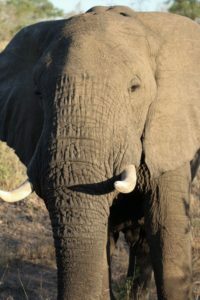 The aim of her study was to explore possible adaptation and mitigation strategies to manage the impact of rising temperatures on the game viewing product in the Kruger National Park region. 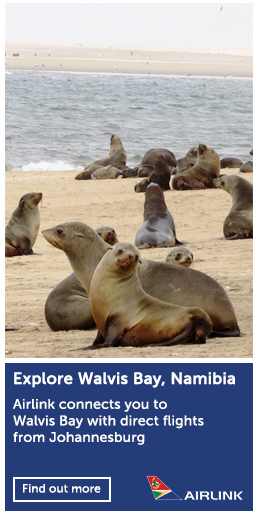 The essential part of her study was to interview experts in the field – namely field guides as well as trackers. The goal was to find out what kind of ideas they had and what they thought were practical solutions. 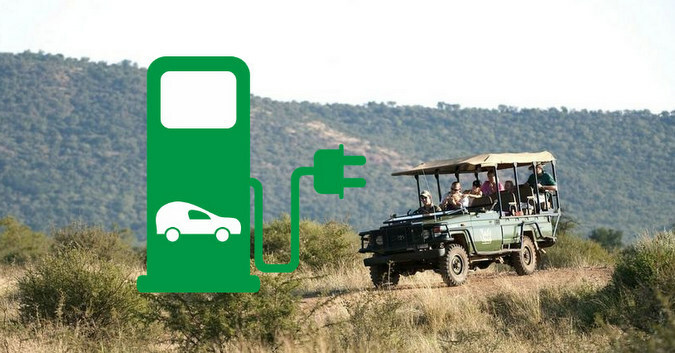 The article is based on some of the points raised in her research, with a large part of the discussion focusing on electric-powered game viewing vehicles.